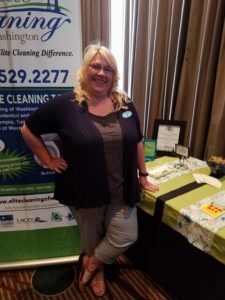 Scottiejo McNulty, Owner of Elite Cleaning of Washington Inc., a commercial and residential cleaning service that serves customers across Thurston County, says their team never slows down. McNulty is a planner. Ever since she was part of the first Scale-Up cohort, service expansion has been a big part of the plan. Supported by consistent consumer input and proper timing, McNulty is ready to put that plan into action by expanding Elite Cleaning of Washington’s services to include nightly commercial cleaning. While Elite Cleaning of Washington has always offered a variety of commercial cleaning services, the nightly cleaning offering is a new addition. Daily commercial cleaning until 5:30 p.m. and weekend cleaning has long been available, as well as one time cleans after a party or event, and commercial move-in/out cleaning. Now, new and current customers alike can look forward to commercial cleaning service available after 5:30 p.m..
“I’m excited to open this service up to new customers,” adds McNulty, “but I’m a planner, and I didn’t want to offer it until we were ready.” With double digit growth every year since the business opened, McNulty has had plenty to keep her busy over the past seven years. Now, the time is right. 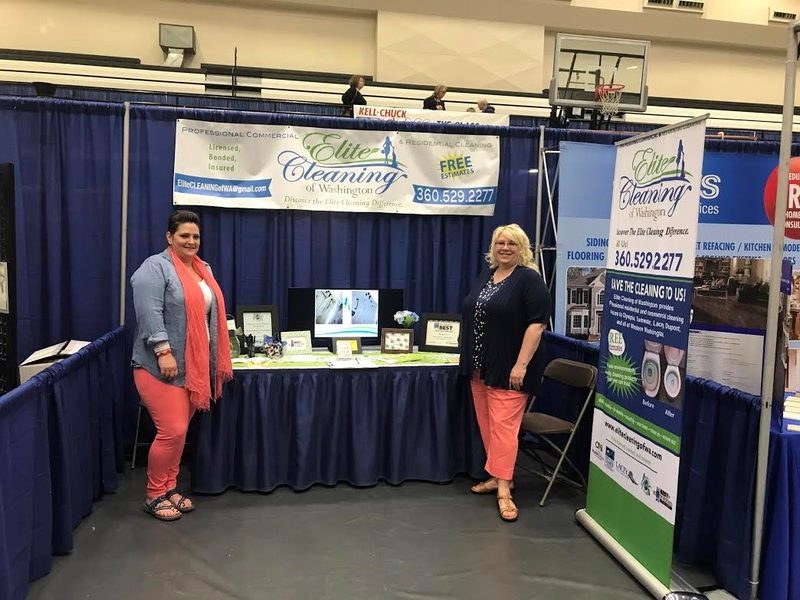 Though the business growth hasn’t slowed down—Elite Cleaning of Washington is already on track for double digit growth again this year—McNulty is confident to expand the service now that she has brought Buddy Stevens, commercial account manager, on board. The services are tailored to each client’s individual needs. 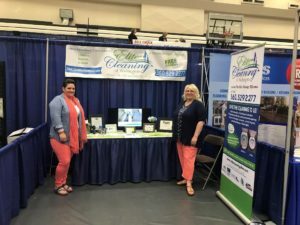 “Some of our clients are very eco conscious,” McNulty says, “so on top of taking out garbage and recycling, we also take out their compost.” The business uses green cleaning products as well, cleaning from ceiling to floor, and everywhere in-between. Lobbies, offices, bathrooms, breakrooms—they follow a checklist that is developed with the client to ensure all their needs and expectations will be met. No business is too small for Elite Cleaning of Washington’s nightly cleaning service. McNulty understands the demands of a small business, being a small business owner herself. The Elite Cleaning of Washington team usually numbers about 17, and many of her employees have been with her for years. “We have a very low turnover,” she says. That low turnover makes her team more like a family and builds trust, a factor which is a crucial part of the business’s success. Elite Cleaning of Washington also serves larger clients. Their largest client is just over 13,000 square feet. No matter what the business size, McNulty’s team can tailor a plan to meet their needs. Depending on the size and type of business, Elite Cleaning of Washington charges either per square foot or hourly, based on what is mutually beneficial for the client and the company. “We try to meet the client’s needs, not just in regards to cleaning, but also fitting within their budget,” says McNulty. Stellar customer service is just one of the many reasons Elite Cleaning of Washington has become a local favorite. 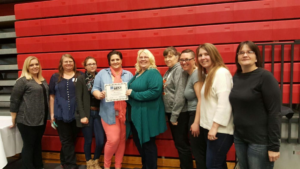 They recently received the Best of South Sound 2017 award, for the fifth consecutive year. In addition to regular nightly cleaning, the service can work in a monthly cleaning schedule, rotating tasks that should be done on a monthly basis. Each week the cleaning team tackles a different monthly task, like edging along walls or high-level dusting. McNulty started in 2011 with just 29 clients. Elite Cleaning of Washington now services over 350 properties a month. The continued growth shows McNulty’s plan is working. The new nightly commercial cleaning is just a step in her plan. It seems she is always looking towards the future. “I have more thoughts about where I’d like to take the business next,” she says. It also seems that McNulty’s plans do not include slowing down any time soon. If you are interested in Elite Cleaning of Washington’s new nightly commercial service, or their residential service, give them a call 360-529-2277 for information or to get a free estimate.